After meetings with Ya'alon and Livni, Ehud Barak now holds a summit with Zionist Union leader Avi Gabbay. Former Defense Minister Ehud Barak continued his efforts to form a left-wing bloc that he sees as the only way to topple Prime Minister Netanyahu. According to Hadashot, Barak met with Zionist Union leader Avi Gabbay on Saturday in order to reassure him that he is not planning a coup against him. 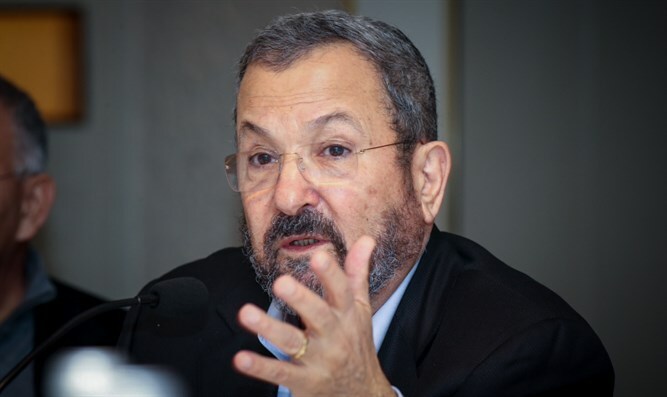 Barak had recently met with opposition leader MK Tzipi Livni and former Defense Minister Moshe 'Bogie' Yaalon, infuriating Gabbay, who viewed it as an attempt to remove him his role as Zionist Union chairman. Recent reports say that Barak is coordinating a merger of the center-left bloc in an attempt to bring the Left back into power.